Tonight was Taco Night! Boy were they good. 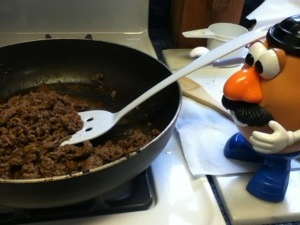 Ohiophotogrl made hamburger meet for her and Ms Deny and we had some meatless chicken for Ms Lori. 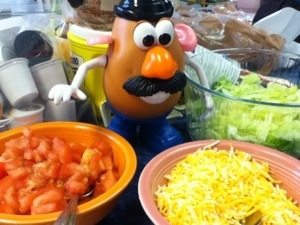 It’s always fun to have friends over for taco night. Ms Deny brought her doggies over to play with too! This entry was tagged 365, blogging, fun, kid friendly, Mr. 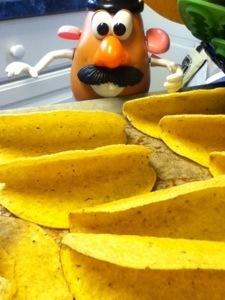 Potato Head, picture a day, tacos. Bookmark the permalink.